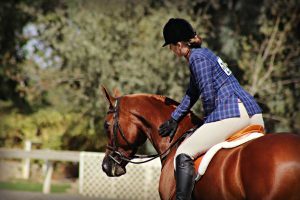 Taking your Arabian horse to a show is a wonderful opportunity to connect with your horse on another level and meet other members of this incredible equestrian community. 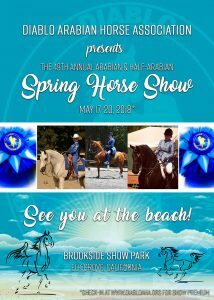 The Arabian horse community is particularly dedicated to its Youth and Amateur competitors. 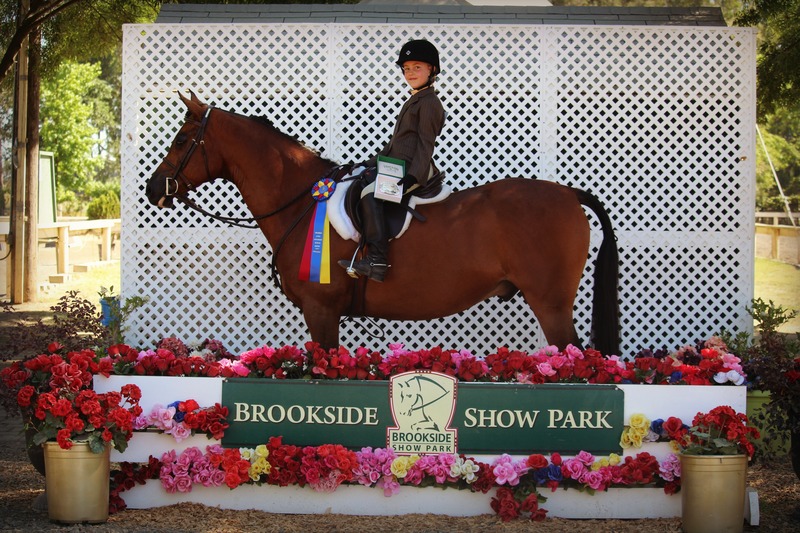 Youth scholarship opportunities abound throughout Arabian Horse Association sanctioned competitions. Amateurs are given many opportunities to succeed in their chosen disciplines. The Arabian horse community strives for its participants to enjoy their connection with their horse as well as the social opportunities afforded for youth and adults. 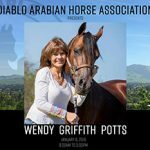 The Diablo Arabian Horse Association puts on two Arabian & Half-Arabian horse shows each year; one in Spring & again in Fall. Diablo AHA shows offer classes in every age range from Lead Line at 2-6 years of age to 10 & Under Walk/Trot Classes to 11-14 year old classes to 15-18 year old Youth classes. Then in the Amateur collection of classes we start with the general 19 & Over classes on to the 19-35 year old classes to the 36-54 year old classes and work our way along to the highly competitive 55 & Over classes. It’s never too early, or too late, to discover Arabian horses! 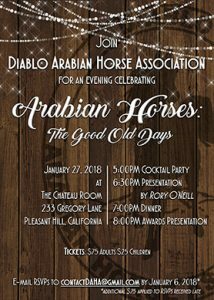 Click HERE to view the Diablo AHA Business Directory to find the perfect show trainer for you and your Arabian horse.